Gone are the days when having an umbrella was classy. Umbrellas have become a necessary tool to shield us from rain and snow. They also protect us from the blazing sun and its harmful UV-rays. A lot of people find it inconvenient carrying umbrellas around. Travel umbrellas are small compact umbrellas capable of withstanding ferocious storms. For convenience, they easily fit into our handbags, to save us the stress of carrying umbrellas around. The reality is that many of us are not willing to purchase travel umbrellas until we are forced to by the rainy season.This does not mean that you have to buy just any umbrella you find around. Many would likely end up broken within the shortest possible time. Below is a review of travel umbrellas which have been tested for durability, repellence, weight, size, ease of opening and closing. It is important to purchase an umbrella which can stand the test of time. Because umbrellas can be used in very harsh weather conditions, it is necessary to purchase one with a strong shaft. Purchase an umbrella with a large canopy which at the same time can be reduced to a smaller size for convenience. Taking some leisure time on a sunny day at the beach requires a large umbrella. Small umbrellas are great for hiking. The most compact umbrellas which are lightweight would be ideal in trvelling to reduce luggage. Best travel umbrellas come with their ribs pocketed along the sides of the canopy. This makes them safer than when the canopy gets sewn on to the ribs. This helps prevent you from accidentally poking yourself or a passer-by. Because safety of the user and that of those around is of primary importance, you should carefully check the design of the spokes on your umbrella. Many umbrellas which are designed to fold and collapse come with a weaker shaft than those with full length. In most situations, they turn to flex in strong winds. Nevertheless, an umbrella that has a sturdier shaft has its own disadvantages though its advantages overweigh its disadvantages. If you are always walking about in poor weather, you won’t want to purchase an umbrella which is heavy. A reason why you should go for a more compact umbrella which is lightweight and easy to transport. If you rely on public transport or have to walk long distances, a compact model tends to be best for you since its size is not a problem. This is an umbrella you carry on yourself without even realising you have additional weight and still be assured you will be kept dry under heavy rainfall. Thanks to advancements in technology, you can make a choice between traditional umbrellas also known as non-compact umbrellas and compact ones. Previously, umbrellas were classic in their form andquite sturdy although cumbersome. The advanced ones are small enough to carry in your bag, although they tend to be less durable. Each category varies with canopy diameter, weight and size when completely collapsed. These factors are all aimed at shielding you from poor weather conditions while offering portability and ease of use. Compact umbrellas also known as traditional umbrellas where initially the only type available. This is not the case today. When closing it up, its canopy collapses and wraps around the shaft. Once it collapses, you are left with a cane-like stick. The frame slides up the shaft displaying the canopy when opened. Traditional models come with a shaft made of wood or metal which is quite sturdy. Because their canopies areincompressible, the rods of the frame don’t have many hinges. The simplicity of traditional models with their durable and resistant parts can withstand repeated opening and closing without failure. They are an excellent shelter and durable. The main weaknesses of the traditional models are their sizes and weights. Compact umbrellas are carefully engineered and designed with advanced technological knowledge to be a shelter in the storms. For portability, they combine telescopic shafts with folding canopies. When compact umbrellas are closed, they take less storage space compared traditional competitors. They tend to be much lighter than traditional models making transportation very easy. This makes them the best choice for travellers. Some are so small that you can keep in your purse. Nevertheless, it should be noted that the factors that make compact umbrellas so easy to transport on daily basis are also responsible for their less durability. A few reasons support this statement. More moveable parts such as hinges in the stretchers are responsible for connecting to the rips that support the canopy. Repeated use might result to weakened hinges. Nevertheless, they remain the best option for individuals who always have to move around in bad weatherbut do not want to carry cumbersome traditional umbrellas everywhere. Putting on a rain jacket is another way of staying dry in the rain. But it should be noted that an overhead canopy offers a few interesting things that a rain jacket does not. The first being good ventilation which is highly needed by the body for its wellbeing. This is both a curse and a blessing because if wind starts to blow sideward you will likely be soaked with an overhead canopy but not with a rain jacket. It should also be noted that you would likely sweat much inside the rain jacket if it is mid-summer and you live in a hot and humid climate. Whereas carrying an overhead canopy not only keeps you more comfortable but also allows air to circulate around you. On a summer day, you really have very little chances of getting wet if you are using an overhead canopy instead of an umbrella. Moreover, it would better protect your legs from rain than a rain jacket would do, particularly in cases where you are wearing a pair of rain boots. If you purchase a large enough canopy, it would not shelter only your torso but your lower body too. The overhead canopy has an additional benefit as it would not only keep you from being soaked by rain but also provide shade from the blistering summer sun. Nevertheless, if you are walking outside during a windy downpour, the rain jacket would be the best for you. We all know umbrellas are produced to act as shields against rain, but other conditions such as wind can alter their performance. Below are the different factors you are to consider for different weather conditions. When thinking of umbrellas, the first thing that comes to mind is protection from rain. There are a good number of things to consider that determine how well one of the best compact umbrella will keep you sheltered from rain. The first thing to look at is the size of the canopy, for the larger it is the better protection it offers against precipitation. Choosing the product that is right for you is more complicated than just moving out there and purchasing the umbrella with the biggest canopy you can find. What you need is a model capable of collapsing to a convenient travel size and has a large canopy. The more compact the umbrella is, the less it can shield from the rain. Finding a compact umbrella with sufficient canopy size capable of keeping you dry under the rain is difficult but not impossible. Large canopies offer great benefits of protection unlike small canopies. Small canopies perform best when it’s just sprinkling outside. They tend to be great for kids who do not need large canopies. In addition, if you have plans of hiking in the woods, a good compact umbrella with a small canopy is ideal for you since it will be more manoeuvrable and less likely to get caught on trees and bushes. It is not surprising that wind influences how the overhead canopy will protect you from the rain. If you are in possession of a non-wind resistant umbrella that easily flips inside-out, any slight breeze can easily leave you without any protection at all. A reason why you should go for a wind resistant compact umbrella. Several models come with extremely deep canopies which you can pull down over your head and shoulder for additional protection on windy-rainy days. Their shorter stride will also keep your legs under the canopy’s shelter preventing them from getting wet. An overhead canopy would not only keep you dry in the rain, it will also shade you from the sun’s harmful radiations. Actually, the main idea behind umbrellas known was to shield people from the sun’s harmful rays before the idea of rain came. The larger the size of your canopy, the more shade you will get. If you plan using your umbrella as shade while on a walk, a more compact and lightweight model will turn to benefit you more than a non-compact model. If you plan spending the day at the beach, you will be more concerned about the size of canopy shade it offers than ease of transporting it. So a model with the largest canopy size you find will turn best for you. Another point to pay attention to is the colour of the canopy, for a black or dark coloured canopy will absorb more sun light and radiate much heat beneath the canopy than one which is light-coloured. Reviews of travel umbrellas show case this as one of the best wind resistant umbrellas with a vented double canopy. The umbrella is prevented from flipping thanks to the vents which allow powerful winds to pass freely over the umbrella. 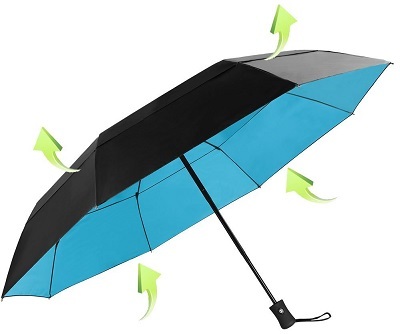 You open this umbrella by just pressing a single button thanks to its fast open and close system. It comes with a decent broad canopy of 46 inches which completely keeps you dry under a heavy rain. At the same time it is portable and lightweight. This makes it ideal for those who are always on the go and need the best travel umbrella to keep them dry under unexpected rains. Thanks to its small size and lightweight you won’t have any additional weight when traveling. Even in cases of heavy winds, you need not doubt its resistivity thanks to its heavy duty and water repellent fabric that prevent distortion or even the least breakage. It dries very quickly, so you will not have to wait long after the rain to collapse it for storage. It is made with a water repellent premium material which ensures maximum protection from precipitation. It is a wind resistant umbrella. Travel umbrella reviews reveal that this is one of the best compact umbrellas which travellers can take as a companion. Its canopy is made up of a quick drying polyester which is a water resistant. So you won’t wait for long after the rain for it to dry up. The polyester which it is made up of is also mildew resistant and quite compact. When folded in full it is 11 inches in size, thereby occupying very little storage space. It comes with an automatic open and close feature which allows you easily open and close its 38-inch canopy. Its canopy is large enough to cover all your immediate surrounding preventing rain from reaching any of your body parts. For toughness and corrosion-free, the shaft and ribs of this umbrella are constructed with durable steel and metal of premium quality. This umbrella unlike others come with an additional feature which is unique to its nature. It has a mold resistant storage sleeve. This resistant storage sleeve has an attached carry loop. Its durability is ensured by a mold resistant canopy. It lacks strengthened fiberglass, a reason why it cannot withstand heavy winds. Even under extreme winds, this wind resistant umbrella won’t break thanks to its windproof construction design. Its canopy is made from premium quality fiberglass and steel components. It automatically adjust when inverted. This umbrella is fitted with a rubberized ergonomic andelectroplate steel shaft handle in order to reduce weight. This makes it the best umbrella for walks since the umbrella weighs only 14 ounces. Its canopy has a diameter of 41 inches, sufficiently large to shade you from the sun and rain. It is very easy to operate thanks to its automatic open and close mechanism. It is available only in the black colour. This is a folding umbrella which uses a blend of polyamide and cotton. It is the best umbrella to keep you from getting sunburned. It comes with a canopyof 8-rib resin reinforced fiberglass which makes it one of the best travel umbrellas you would find in the market. The reinforced fiberglass prevents it from inverting against strong wind. Thereby keeping it stylish at all times. You can easily shake off rain drops from this umbrella since its cotton and polyamide blend is completely waterproof. Its handle is made up of a durable non-slip rubber. Its canopy which is 43 inches when opened completely shields you from the harsh sun and all rain drops. It is 12 inches long and comes with an automatic open/close button which weighs 1.1 pounds. 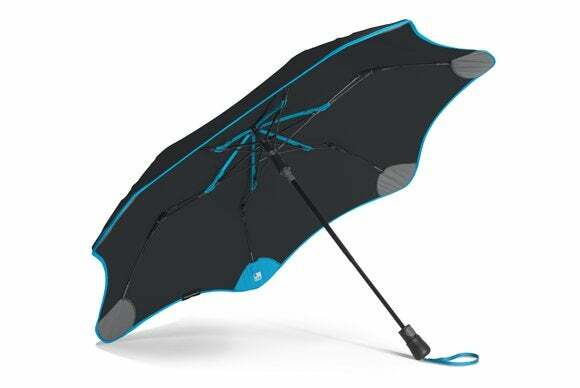 Travel umbrella reviews consider this folding umbrella a UV protection device. Made from strong first quality fiberglass. It is quite long for a compact umbrella. Reviews of travel umbrellas reveal that the Kolumbo travel umbrella operates on the best technology to make them wind resistant umbrellas. It comes with a framework which offers resistance to winds of up to 55 mph, this frame protects it from even the least bending. 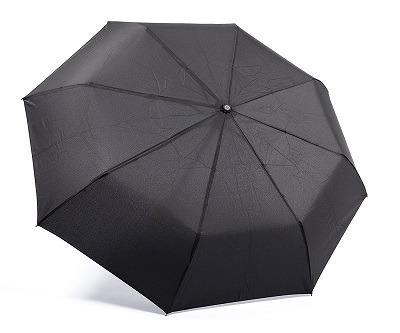 It comes with a patent bending wind flexibility system which uses premium fiberglass and stainless steel of high quality to ensure the umbrella springs back quickly once opened. Its stainless steel prevents all forms of rusting. This is just the best compact umbrella you would find in the market. In addition it cannot soak even in the extreme rain thanks to its water resistant capability. It also dries up quickly allowing you to continue your walk with it in your bag or suitcase after the rain. It comes with an automatic one hand open and close button for opening. It cannot fit into small purses. 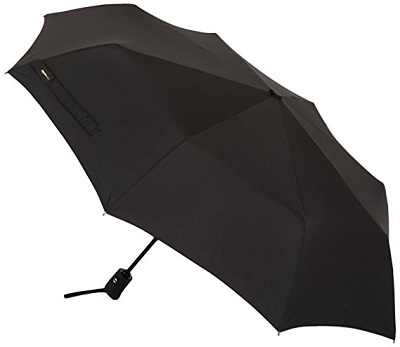 Travel umbrella reviews all agree that this is one of the best folding umbrellas. It comes with a layer black canopy providing UPF 50+ UV protection. With this umbrella, you do not need to fear the harmful rays coming from the sun. Its length is only 10.6 inches and comes with a manual open/close rapid system. It has a very small size which makes it quite convenient for travelling since it can easily fit into a handbag or a small suitcase and still allow enough space for other items. It can withstand heavy rains and storms thanks to its 8-ribs which are reinforced with high quality fibre glass. Measures only 6inches when closed. 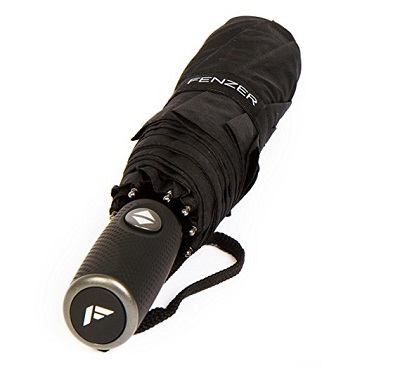 In order to prevent splitting and tearing, the fenzer travel umbrella is made up of premium Teflon Coated fabric which also increases its durability. Travel umbrella reviews reveal the fact that this is the best wind resistant umbrella which yields to wind without resistance thus preventing it from being destroyed. “The wind will only break unyielding trees”This umbrella was produced from this saying. This folding umbrella comes with a flexible frame that is automatically adjusted and made from first-class fiberglass. In cases of heavy winds capable of destroying the umbrella, its frame will simply bend to the direction of the wind and later bounce back to its original angle after the wind. This gives it a superior advantage over other travel umbrellas which will break under such conditions. Its handle is much more comfortable thanks to rubberized ergonomic design. With this umbrella you won’t get soaked in the rain while struggling to open it, this is thanks to its automatic one push open/close button. Its unisex design means it can be used by everyone; from a mum with her kids to a professional lawyer. It is made with premium material. It can’t fit into a small purse due to its length. Travel umbrella reviews show that this is one of the best compact umbrellas produced by Amazon Basics. It represents a combination of quality, durability, convenience and functionality in just one package. It comes with a major striking feature, which is its wind vents on the board of the canopy. Winds are allowed to pass through without causing any harm to the umbrella thanks to this wind vents. There is no rust or corrosion with this folding umbrella since its frame is made from premium stainless steel and a canopy of polyester. It can easily fit in a coat pocket or side pocket of a bag. Its portability feature really makes it more appealing. Reviews of travel umbrellas all agree this is truly the wind resistant umbrella to take on the go. It comes with a simple button that automates opening and closing. It’s handle tends to be uncomfortable for some people. This folding umbrella comes with a stylish waterproof casing that completely assures its protection. Weighing 280 grams in case, it’s only 8 inches long allowing for easy transportation. Its canopy is produced from rain repelling Teflon coated material which dries up immediately after the rain ceases. It is reinforced with high quality fibreglass which supports strong winds without showing any signs of failure. It is a Teflon coated canopy. Reviews of travel umbrellas reveal that this is one of the best travel umbrellas you can find in the market. It comes with double canopy to protect you from the least rain drop. Its canopy is supported by a frame made up of first quality stainless steel which prevents all forms of corrosion. It is also made up of quality fibre to increase flexibility and ease of use. It has quick-to-use one handle operations which will keep you from getting soaked by rain while struggling to open the umbrella. It is the best compact umbrella designed to offer top protection and durability as disclosed by travel umbrella reviews. Its one hand operations make it easy to use. At times its handle fails to retract promptly. This folding umbrella comes with an outstanding feature which beats lots of umbrellas in the market. It is 10 rib canopy constructed to greatly increase its durability and resistance to destruction. These ribs are made with premium resin-fibreglass which allows flexibility and also inhibits the umbrella from flipping inside out in windy conditions. This makes it an ideal wind resistant umbrella you can take out in stormy weather. It is easy to open thanks to its auto open feature. It comes with another outstanding feature - its rain-proof canopy with great and superior water-resistant ability. The canopy is abrasion and mildew resistant. It should be noted that this umbrella comes with a life time warranty a reason why it is highly rated over the net as shown by travel umbrella reviews. It comes with an extremely comfortable grip not found in others. It proves to be nuisance when fitting in the back. This is another folding umbrella which is ideal for those looking for a strong but bulky compact umbrella. It comes with a resistant shaft which was made with first-class quality stainless steel. It can withstand winds of up to 55mph thanks to its resin reinforced fiberglass. This umbrella is one of the best waterproof umbrellas thanks to its 210T polyester made canopy. For convenience, it has a quick open/close mechanism. Weighing 0.5 pounds with a length of 10 inches, this umbrella is classed amongst the best compact umbrellas by reviews of travel umbrellas. Has a quick open/close mechanism. Lacks a quick drying canopy. This is a small durable travel folding umbrella which was designed for urban elegance. Flexibility and strength is ensured umbrella by its reinforced steel ribs making it capable of withstanding heavy rains and storms. This is one of the umbrellas which is rated UPF+ 30 on UV protection. This is also a water resistant umbrella. For user convenience, it comes with an instant open/close button. It weighs only 1.2 pounds and when folded it is 11 inches long. This makes it extremely easy to carry along with you everywhere you go. It is difficult to close. Reviews of travel umbrellas reveal great that this is one of the best wind resistant umbrellas that comes with a 9-rib strong metal frame reinforced with fiberglass. When opened, its canopy measures a whopping 42 inches. 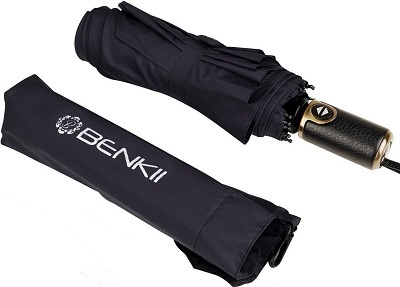 When closed, this folding umbrella is only 12 inches long. For travel convenience, it can easily fit in to a briefcase, handbag, backpacks and glove compartments. On its ergonomic rubberized handle, it has an easy open/close mechanism. Weighing only 0.85 pounds, this wind resistant umbrella is well known worldwide for its durability by all its past and present users as implied by travel umbrella reviews. A huge 42 inches canopy. Cannot fit in all purses due to its length. Reviews of travel umbrellas reveal that the crowncoast was built to withstand the strongest storms and rains without showing any signs of failure. It was recently proven to withstand wind speeds of up to 60 mph in a wind tunnel, gaining a place amongst the best wind resistant umbrellas ever. It cannot get damaged when flipped unlike other folding umbrellas. Thanks to its flexible ribs, it immediately gains original shape when flipped. Capable of withstanding high-speed winds. This is one of the best travel umbrellas which come with a built-in superior water repelling canopy as publicised by travel umbrella reviews. You can be sure to remain dry under heavy rain showers. To ensure maximum durability, quality workmanship was put in to its fabrication and design process. 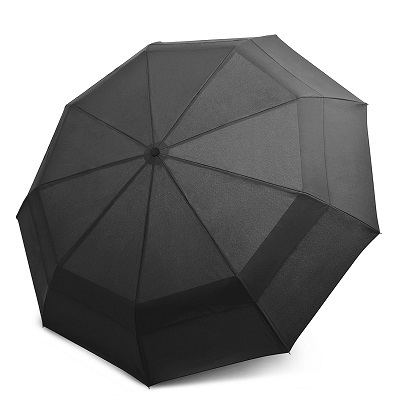 This wind resistant umbrella with 9-rib canopy will greatly amaze you of its strength. You can easily carry this umbrella around thanks to its ergonomic slip proof handle wrist strap. Measuring 11.5 inches long, it weighs only 14 ounces allowing easy transportation. Has a strong canopy design. It’s sometimes difficult to close. So many reviews of travel umbrellas rank the Blunt XS at the top because of the advanced technological features it brings. 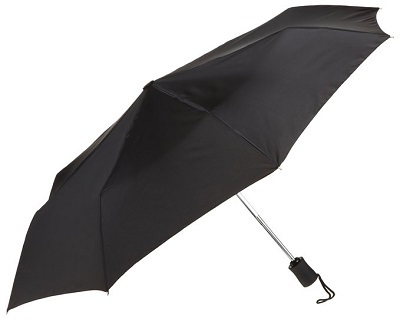 This is the first-ever made location umbrella you can find. You don’t need to worry yourself if it gets lost. Use the specific android App to track it. As you get close to the umbrella’s location, it starts playing a nice tune to attract your attention, and you can easily locate it. Being a blunt umbrella means that it has patented tension-release button. All you need to do is push and the collapsible umbrella would pop out with a fuss. You can find it with red, blue, or gray accents. It comes at an affordable price of 69 dollars, a price relatively cheaper than other models. 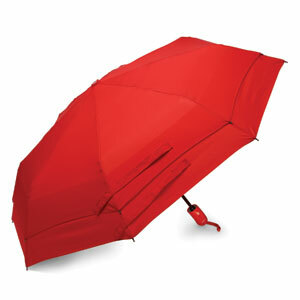 This means that you are not paying a premium to have the added utility of tracking down this pretty looking umbrella. This umbrella is made from polyester material. Weighing just 0.82 pounds with a length of inches, yet it is capable of folding out to offer up to 900 square inches protection from all elements. In other words, this is the ideal umbrella you would love to have. This is one of the best compact umbrellas you will find when it comes to reviews of travel umbrellas. It comes with a XS Metro feature hidden inside a small interior pocket found near its outer edge. It is referred to as a tile chip, about the size of a quarter, it utilises Bluetooth low energy for communication with your phone. The Tile is very small and its App is very easy and simple to use by all without past experience. Worth knowing is that it can track up to eight Tiles implying you can attach them to other important things like car remote control and keys. Success of the Tile concept solely depends on mass adoption. This is an umbrella you can’t miss when searching for the best compact umbrella capable of withstanding spring showers. This is the most durable model in GHRI test. It comes with a large and fully vented canopy capable of keeping you completely dry under heavy rains and storms. In addition, this folding umbrella is completely automatic. This umbrella successfully stood out after the light spray and driving rain test. It comes with a highly secured fabric which is attached to the spokes. It weighs under a pound for comfort and ease of carrying for your daily activities. It comes in a red or black colour offering you the possibility of making a choice. It comes with a limited warranty of 10years which completely assures you of its durability. It is 11.6 inches long for it to be fitted in a purse, coat pocket or briefcase for easy transportation. It weighs just 0.82 Ibs making it highly portable. Its spacious canopy provides very good coverage. This is truly an all in one folding umbrella which could be your best travel companion. Its frame is made up of high quality steel-and-carbon fibre. For a firm and comfortable grip it comes with a contoured grip handle. Meaning you won’t experience any slips with this umbrella at hand. This umbrella was carefully engineered to be waterproof. It comes with a super-sleek silk-woven pongee canopy which is large enough to keep you from being soaked by rain. 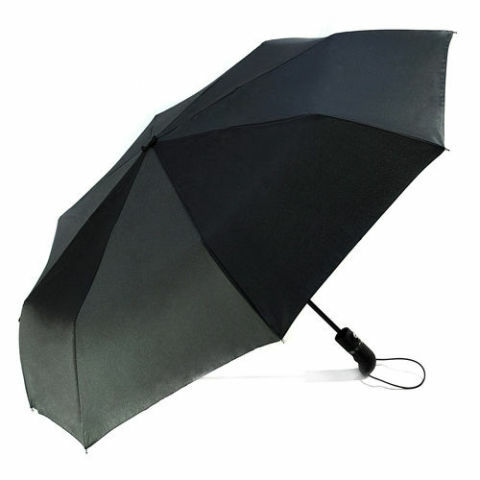 Its compact unit comes with a powerful lock which prevents the umbrellas from bursting up. It is one of the best German-engineered and tested travel umbrella. Thanks to its storm-proof nature, it demonstrates incredible durability characteristics. Its supreme durability is attributed to its fabric cage of fibre glass rather than aluminium. Its canopy is strongly supported. Its canopy dries super quickly. The only drawback with this umbrella is that it comes only in a black colour. This makes it a little confusing with other umbrellas. It weighs less than 13 ounces. It is 11 inches folded. It is one of the best travel umbrellas that is affordable at a price of 20 dollars. It also has one of the most unbreakable values around. It tends to be an umbrella to take for windy destinations since it lives up to its name. Here comes another good quality travel umbrella by Leebotree. It has a one-touch switch system which will prevent your files from getting soggy. With almost zero delay, the Lebotree open and close button has a quick response. It has been kindly positioned to prevent accidental presses. This umbrella weighs less than a pound. This makes it extremely portable. Balancing it is very simple. When fully opened, its canopy measures 42’’. It can fold to 12’’ allowing for fit into a coat pocket, handbag, or suitcase. Quick response opening and closing mechanism. Its fabric is not fully waterproof in heavy rains. This is another best travel umbrella with which you won’t need to purchase another sooner. It is a must-have multi-featured travel umbrella with a double canopy. It has an ergonomically design handle. To give it a decent touch, its handle is covered with a deluxe leather. The umbrella can be hanged comfortably on the arm thanks to its well-designed handle. Its two canopies prevent the umbrella from flipping inside out.